It is not a secret that I love traveling. But unless, I have done a collaboration with a destination, all my travels have been purely for pleasure. Nevertheless, in the process of taking my travel blog even more serious, attending travel conferences became a must. It is a way to get under the skin of the industry, learn from experts and find potential partners. So, in the beginning of the year I did some deeper research on which events I want to focus on, and in that attempt stumbled across Berlin Travel Festival, which was to be held for the first time in March. The 3 day-long festival combining talks/workshops, exhibitors from different part of the world and a trend lab for professionals, got me instantly curious. Before I knew it I had booked the plane ticket and approached the festival organization for more information. When I told my friends and family about the trip to Berlin, they pretty much all ask the same questions. What the heck is a travel festival? Why would you want to go to such an event? Berlin Travel Festival is a combination of talks, musical performances, food tastings, workshops and an experience area divided into different travel themes, such as Culture Journeys, Weekenders, Outdoor Escapes and Ocean Life. The festival speaks to a niche type of travel consumers, namely the new generation of travel enthusiasts, explorers, globetrotters, nomads and creative people with a broad mindset, who not just travel because they need a break from their day job, but rather because of an intrinsic motivation, curiosity, a challenge and maybe an escape from social structures. This is also the mindset of the participating brands, who all innovative and visionary in their own way, aiming to find creative solutions that speak to the demands of this new type of travel consumer. Berlin Travel Festival provides an "offline platform in the new online world" where both parties can meet, network, discuss, explore and learn from each other. So, you can see this type of event is of particular interest for a person like me, a self proclaimed travel blogger. :D BUT there is a reason why this was a called a festival and not a trade show, because it does cater to anyone curious about traveling. The consumer landscape of travel is rapidly changing. We travel to see, explore, understand and experience the world outside our homes, and even though we travel more, we have also become more selective when it comes to what kind brands/destination we chose to still this hunger for adventure, escape, cultural encounters and so on. But how do the brands and destination actually adapt to this constant change? How do they segment their consumers, and what do they do to understand what drives travelers today? How have they adapted and developed themselves? How do they embrace this challenge of an ever-changing landscape and what types of solutions do they create to meet the ever growing expectations of todays traveler? This is the sort of glimpse behind the scene you get, when visiting Berlin Travel Festival. Personally, coming from a tourism-focused study, I find this area utterly interesting, and I am sure, that it is of interest to you, even without a major in tourism or a travel related professional background. Hand on heart - how much do you know about Vanlife, location independent lifestyle, slow travel, cannabis tourism, mindfulness retreats, curated art tours? The experience area consisted of 4 different travel themes: Culture Journeys, Weekenders, Outdoor Escapes and Ocean Life. Have a look at the exhibition area here to see which destinations, brands, hotels were represented in each area. For my sake, I feel in love with the concept of Where About Now, a specialized travel provider for contemporary art trips, accompanied by an online journal. This trip to Israel has been added to my bucket list. Personally, I think it is great to attend event solely for the purpose of networking. You simply never know who you end of talking to and what opportunities may arise from such an encounter. While talking to the co-founder of EyeEm, another "visitor" joined our conversation and we ended up having a long discussion about Instagram. It turned out that he was in the travel industry himself and started his own business of small neighborhood focused walking travel guides. We continued the chat over a cup of coffee, and got a peak behind his business model and his future plans. Hopefully, this can turn into a collaboration in the near future. One of the big topics within the travel sphere is sustainable traveling. We all like to think of ourselves as conscious aware, taking care of the planet, making smart choices. But how much do we actually know? There were quiet a few talks centered around sustainability. For instance, Pepi de Boissieu spoke about the heritage of 5 superfoods in her talk "forbidden food", Nicolai Duda informed about the affect of human behavior at the beach on the maritime wildlife and presented his campaignwork "Sea Shepherd" and Milena Glimbovski showed how sustainable travel starts with packing "right". It does not hurt to start reflecting about your own travel behavior, and events like this can be some sort of eye opener. Do you know how to build a skateboard? Do you know how to create a travel journal? Do you know how to cook an entire meal on camping equipment? These are just a few examples of the things you were able to try during the festival. I, myself, attended the "Hand im Glück" travel journal DYI workshop and became totally convinced that I should spend more time at home working on travel journals. Actually, I have one old scrapbook from a Hawaii trip I did in 2006, and I love opening this cheesy book to remind myself of some carefree days on the other side of the globe. Especially, in our digitalized world a physical travel journal gives you value on a new sentimental way. HOW COOL ARE THESE LOTUS TENTS? So, what do you think? Would you want to visit Berlin Travel Festival next time, and get inspired for your next trip, or maybe a new way of traveling? New years are all about new resolutions. Like most people I have been thinking about what to improve in 2018. Last year has definitely been challenging, my personal life took a turn off the road, and my professional life is lacking a sense of fullfilment. So basically, I am in a stand point where I need to reinvent my life. For the past years, my new years resolutions have been 'eat healthier', 'exercise more', 'read more book' and so on. Usually by the end of January, I was already back to old habits, tired of myself for not being able to stand the ground. This year shall be different, because this year is about activities and ideas that fuel creativity and inspiration. I really enjoy going to museums. It elevates the mood and gives you a new perspective on things. Sadly, I have not been good at making use of Copenhagen's (and the rest of Denmark's) wide selection of cultural offers. Unfortunately Ordrupgaard and Copenhagen Contemporary are both closed for 2018, otherwise they would both be high on the list. Copenhagen Photo Festival - I volunteered two years ago, and got to peak behind the scene of this awesome festival. TBEX EUROPE 2018 OSTRAVA - I have not made it to TBEX, yet, so this year its time. PING Festival - Gathering of marketing professionals and content creators. Do you know more? Hit me up. A couple of month ago I moved into my new apartment. The place is wonderful, but it needs a little bit of love. Since I have a weakness for design and interior, Pinterest is of course one of my best friends. I have already gathering a lot of inspiration for how to furnish the apartment. Yet, I want to go further than that and start becoming a little more handy. So eventually, I will have a little serious of DIY projects. Setting up metro tiles in the kitchen (well, that is going to be interesting) - I found this great tutorial on one of my fav danish blogs. Kitchen make-over - I am absolutely in love with Reform's front pieces for Ikea kitchens. Self-made hanging leather shelves would like very nice in how I imagine my kitchen to look like. Even though learning new skills seems sort of ambitious in a busy and hectic life, I strongly believe that the intrinsic reward you get out of it is highly valuable. It can be a way to develop yourself, and boost your self-esteem when you discover you are good at something new. Also on a professional basis, it is important to stay curious and keeping the hunger to be better. As there are a thousand skills to learn, I want to focus on the beneath 4, as I believe they can thrive me on different levels. Indesign & Photoshop - I know the basics, but for the sake of this blog and because I really like "playing" with these programs, I want to become a pro. Any suggestions on nice courses? Marble Matter - I attended a mini-course during Finders Keepers in December, and I was sold - I need to practice this more and make beautiful posters and textiles like these awesome girls. ... make a list of places in and around Copenhagen, I would like to go for a shoot (you have probably guessed by now that I am a huge fan of lists). Take my baby canon out for a walk at least once a month and try to capture small moments, even if it is just around my house. Shoot more analogue with this beautiful thing again. Experimenting with keeping a physical travel journal, as a contrast to my online universe. Creativity is much about the small elements in life, as well as trying new things that inspire you. I hope pursuing the above things will get me inspired and bring some creativity back into my life. What inspires you? How do you bring creativity into your everyday life? While writing this, I am sitting in a train commuting from Copenhagen to Hamburg. Train time has something special to it, don’t you think? You just sit there and wait until you arrive, while trying to keep your self busy, listen to music, work on the computer, small talk to your neighbor, or just look out the window. I had so many good intentions on how to use these 5 hours in the train, but mostly I have been staring out the window and simply observed the landscape change slowly. A lot of thoughts have been running through my head. About this year, which is about to end - about life in general, where I am, where I want to be. 2017 has been an emotional rollercoaster. Sometimes, it surprises me how quickly life can change. One day, you have all this plans and dreams, and the next day the path you thought you were walking takes a drastical turn, leaving you lost and confused. It seems almost obscure to leave this year behind, feeling as if you weren’t done with it. Still have stuff to figure out. Not ready to move on. But maybe, just maybe, feeling the pressure of “a new year, a new beginning” can be a good thing. It does force you to look inside, and find the things you want to improve. Whether it is simply being more sporty, eat healthy, spend more quality time with your friends, or working more deeply on yourself, on getting emotional stronger or persue personal and professional change. 2018 will be the year the year, where I want to focus on creativity. Creativity In all its essence. As a way to refresh. Dig into inspiring aspects of life and surround myself with people that inspire me. The goal is to try to convert the struggles from 2017 into creative outputs in 2018. Not as a way to keep busy, but simply to try to turn the negative into something positive. This past year, I must admit it felt like I failed in different aspects. Life didn’t go as planned. Now, it is time to refresh, fuel my creative imagination and drive to create by going new places, trying new things and move beyond my personal notion of own capabilities and challenge them. 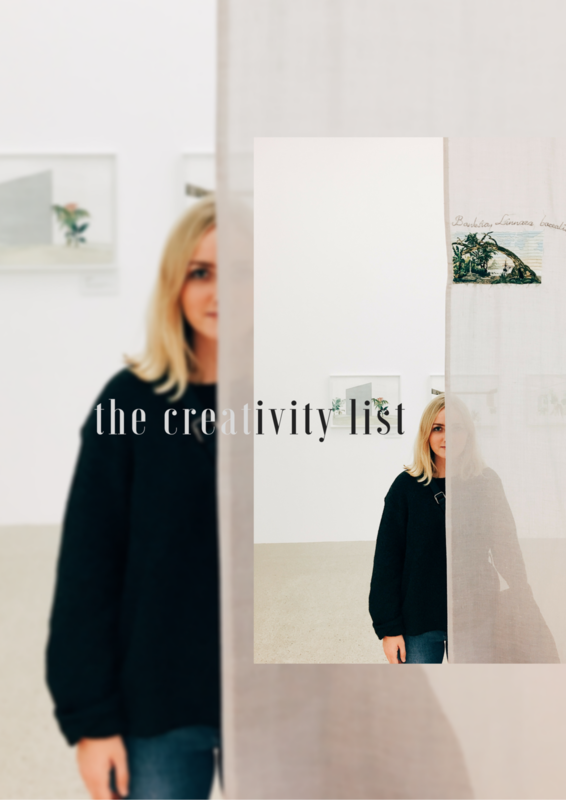 I made a list of activities in/and around Copenhagen, some diy projects I want to do, added some creative skills I want to try to master and listed some new places I want go during the next year. 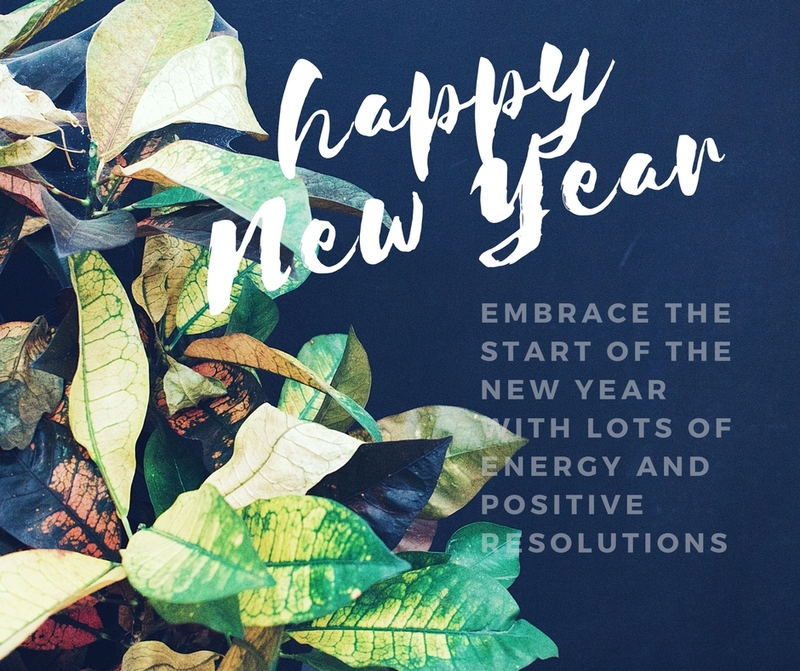 I wish you all a Happy New Year, and hope that the new year will bring you the fresh start you need, or that life continues being awesome. SMK - Sonja Ferlov Mancoba: "No-one creates alone"